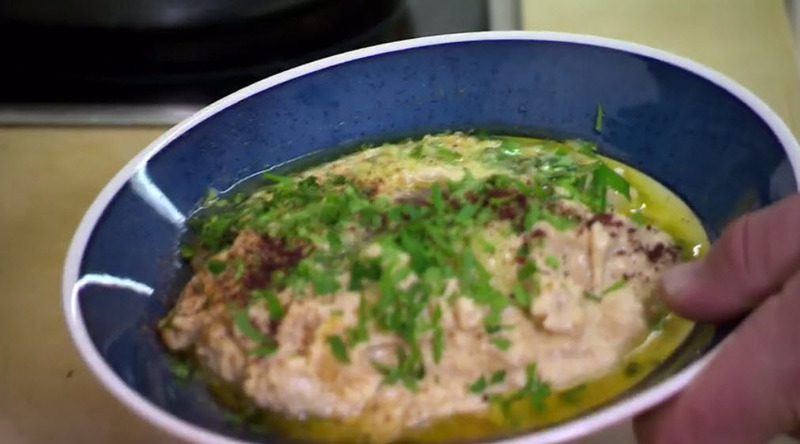 Hummus - the delicious, nutritious superfood sweeping America - has the power to bring Muslims, Christians and Jews together... in the Middle East, America and around the world. Hummus. Claimed by all. Owned by none. In Hummus! The Movie we meet three main characters - a hard working Muslim woman, an ever-smiling Jew and a young Christian Arab on a quest for meaning. And they all have one thing in common... a love of Hummus. Hummus! The Movie also spotlights "The World's Largest Serving of Hummus" - the fiercely fought Guinness World Record title currently held by a Lebanese Hummus maker at a huge 23,042lb (10,451kg)! The hour-long film is being shown at Jewish Film Festivals. Here is the trailer. I wish I could have a plate of this Chumus. Looks so tasty. Yummy.